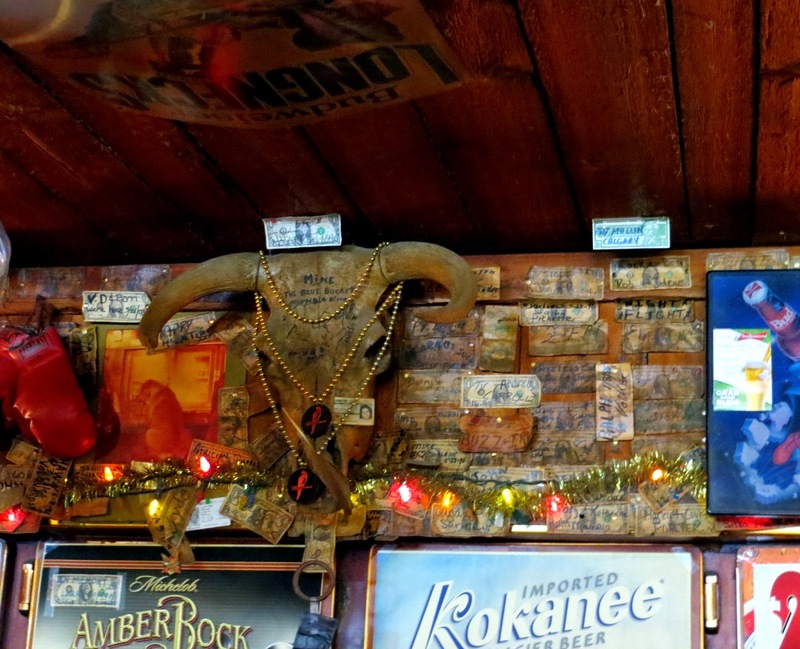 Stepping into this bar feels like stepping into an old west poker game waiting to happen. 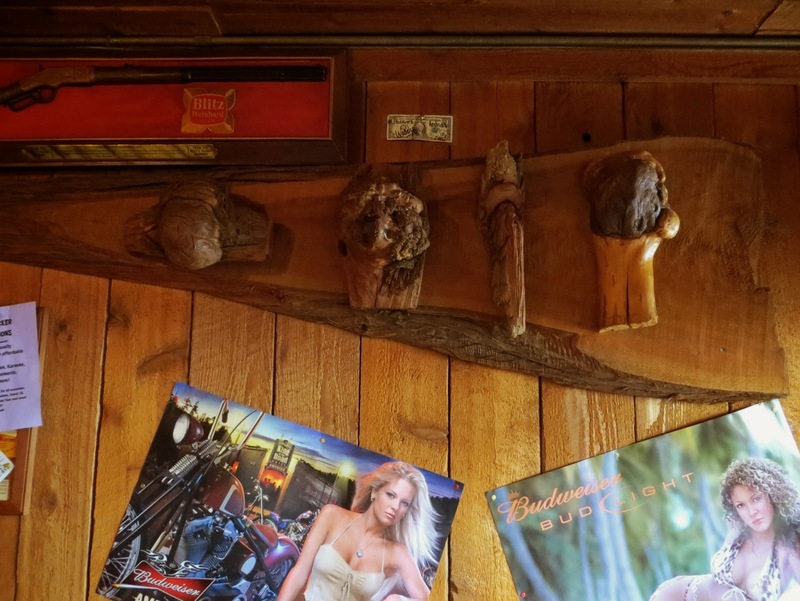 The Boots & Saddles is very evidently a very old bar, with great, old, uneven, wooden floors, old taxidermy heads on aging wood walls, wood burning stove, etc. 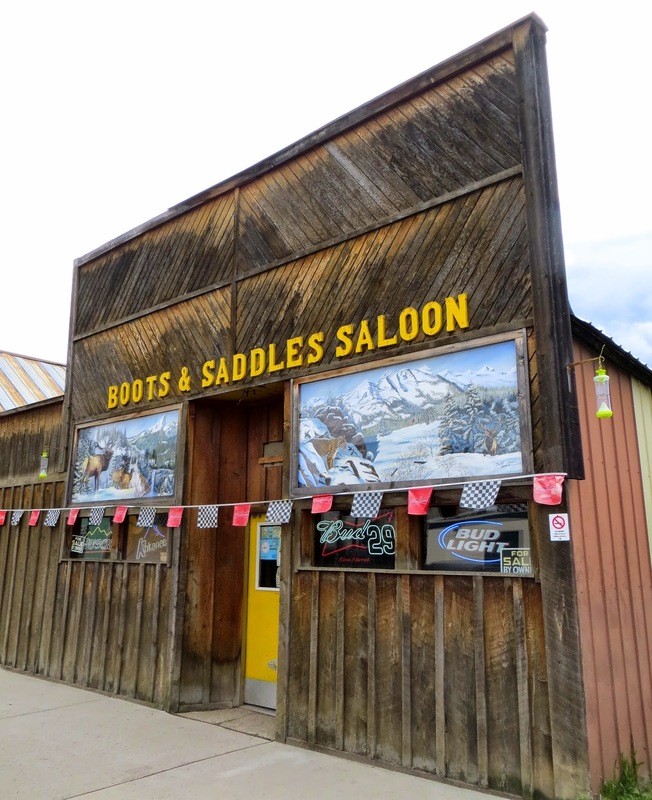 The bartender there told me that it has been named the Boots and Saddles since 1978 (I believe this was when it was purchased by long time owner Torivio "Tory" Mendoza, who passed away in Dec 2010) and that it has housed a bar back to 1908. I have not found any primary sources to help confirm those dates, but the information I have on Ione is very limited (the three bars listed in Ione in the 1913 Stevens County Polk Guide do not include addresses). 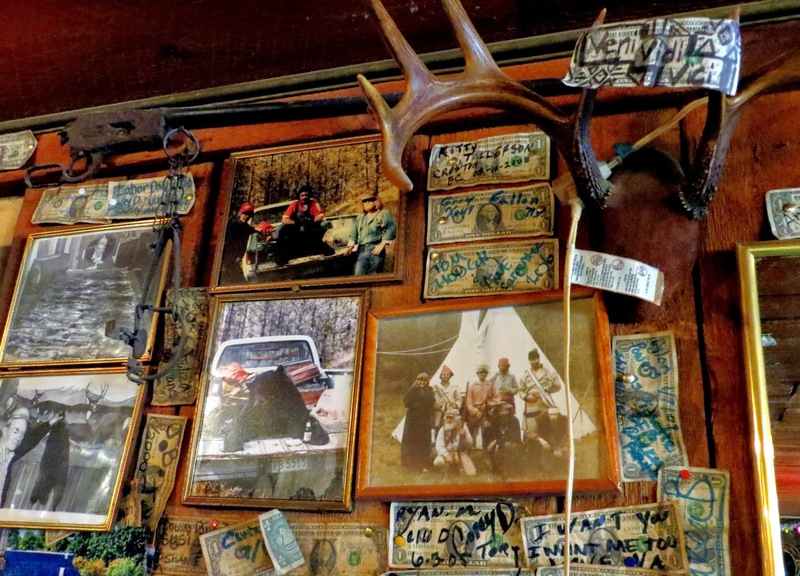 In any case, today the bar is a bit larger than one expects from the exterior and regardless of how old the place really is, it wears its old west saloon feel effortlessly and unaffectedly. 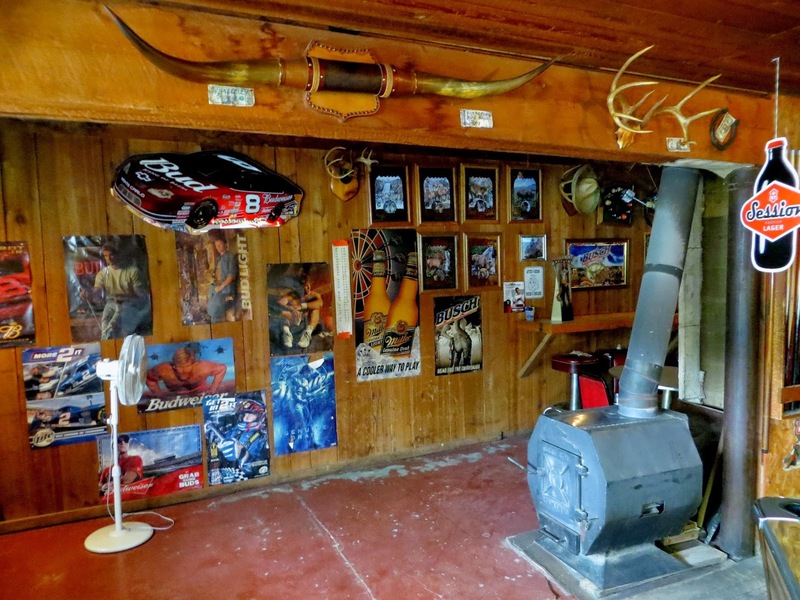 It has the typical dive bar options in drinks and decor, but the beer corporation paraphernalia and NASCAR posters are mixed in with old hunting trophies and vestiges of decades of personality and personalities. I recommend a stop here if you're ever in this area near the northeast corner of the state. 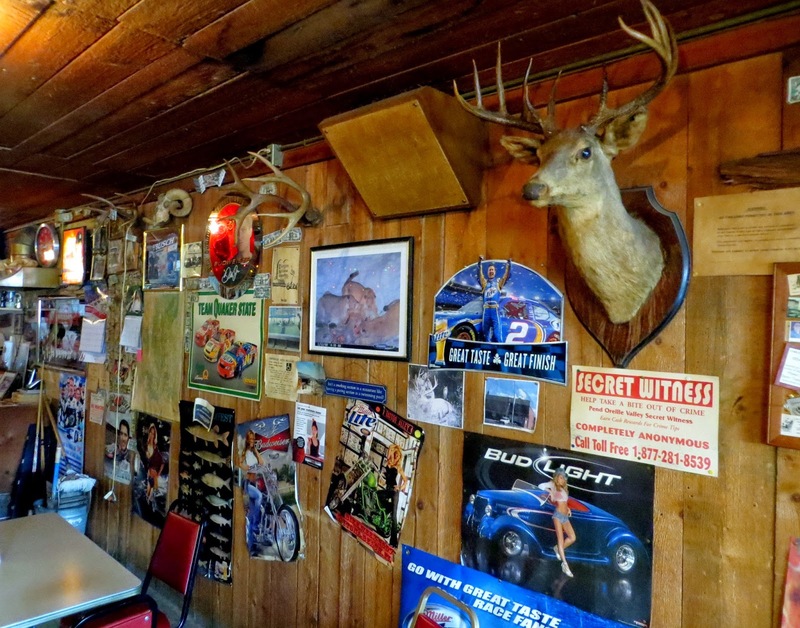 This has been my favorite bar for the last 40 years.